Supporters build a case for bills to alter zoning, battle high costs and crushing rent increases. 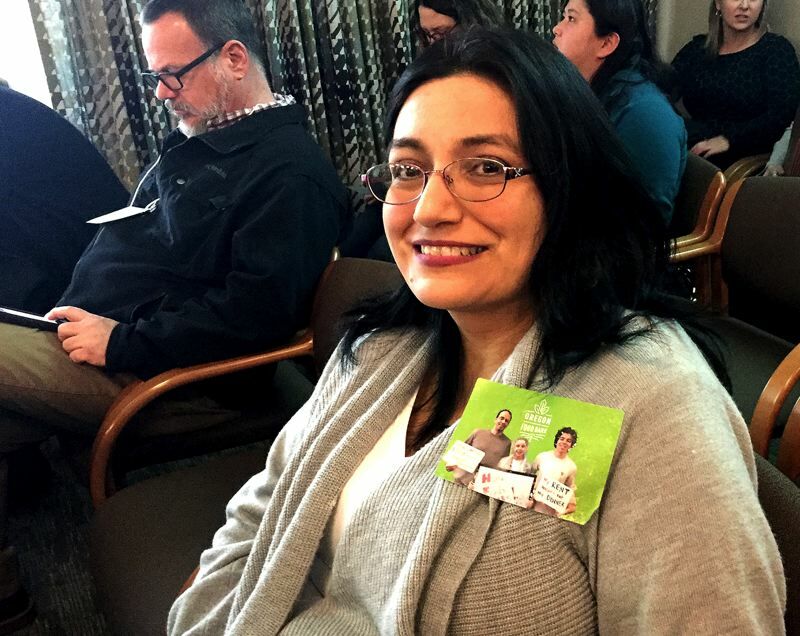 Salem resident Paula Pena often slips cash into her father's wallet when he's not looking. The money is to help pay rent on a duplex in Northeast Salem. After five years without an increase, her parents' rent nearly doubled from $500 to $975 over 18 months when a new owner bought the property. Pena said her parents, retired and living on a fixed income, couldn't afford the new rent. Her parents are one example of hundreds of thousands of Oregon households who are affected by Oregon's high cost of housing. The same trend has unfolded nationwide largely due to a shortage of new housing, said state economist Josh Lehner. 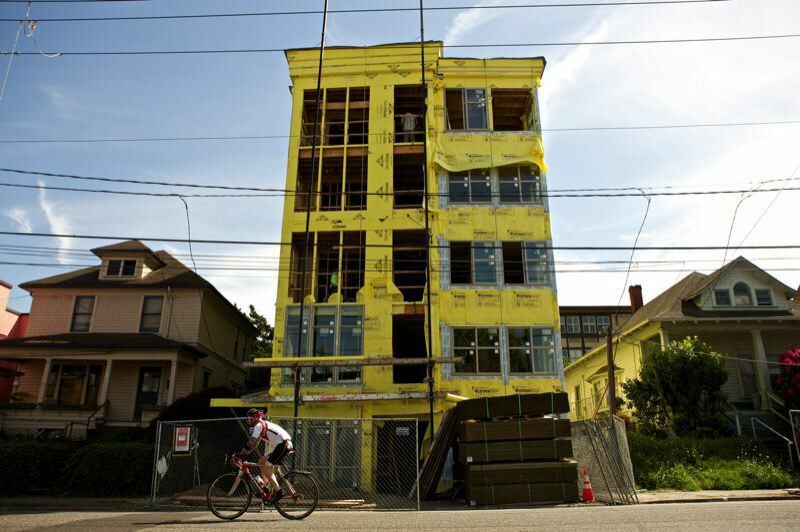 Oregon needs about 150,000 more homes to meet residents' needs, according to a recent report by Up for Growth, a national coalition that promotes higher housing density close to workplaces, stores and transit. "The average apartment is significantly more expensive as a percentage of people's income," said Mike Kingsella, a former Portland resident who now heads Up for Growth. "You have to make a lot more money to afford it. It means purchasing a first-time home is much more out of reach for younger folks." "Our neighbors who experience extreme unexpected rent increases or no-cause evictions have their whole lives suddenly disrupted," said House Speaker Tina Kotek, D-Portland. "Their kids may have to switch schools mid-year, and with increasingly limited affordable housing options, their search for an available, affordable place to move to will likely be extremely difficult or even impossible." The turnout at a recent hearing on the rent increase limit provides a sense of the impact the price of rents has on Oregonians. More than 100 people testified on the rent limitation in Senate Bill 608 during a four-hour hearing before the Senate Housing Committee. Supporters such as Pena shared accounts of 40 to 50 percent rent increases and evictions for no cause after a new landlord bought their home. "I think it is a really good thing to put a limit per year," Pena said. "In helping my parents, it would give us an expectation and not having to worry about my parents getting a rent increase every five to six months." Some landlords said the limit is fair and reasonable with one testifying that it was the "decent thing to do." Others said regulating rents would prompt some landlords to sell rental properties to homeowners, further reducing the rental home supply. There is a catch to the rent limit — it wouldn't apply to rentals up to 15 years old. That provision is meant to encourage new development "because we understand that supply of housing is an important part of the equation when it comes to solving housing issues," said Rick Osborn, spokesman for the Senate Democrats. Additionally, the legislation would restrict no-fault evictions or "no-cause" evictions. It would require certain landlords to pay relocation expenses equal to one month's rent for making a tenant move because the owner wanted to move in, sell the property or upgrade the unit. Out of Oregon's more than 14,000 homeless residents, one-third is chronically homeless due to a physical or mental disability, mental health issues or substance abuse, Lehner said. The other two-thirds are called "episodic homeless," and they are usually homeless for short periods because they can't make ends meet, he said. Housing prices are a factor in that kind of homelessness. "It puts hundreds of thousands of Oregonians at risk of homelessness with an unfortunate event such as a medical bill, a car that breaks down, a job loss or some other unanticipated expense," Lehner said. 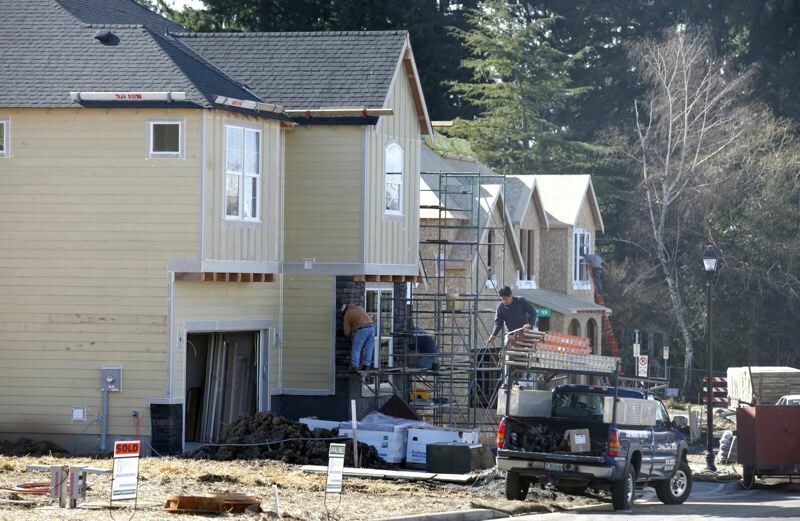 Oregon built more than 19,000 homes in 2017 and the same in 2018, Lehner said. Meanwhile, the population grew by 65,000 in 2017, largely from new residents moving into the state. Both parties in the Legislature agreed that the housing shortage won't get better without an increase in supply, and some legislation this year seeks to increase the number of homes. Kotek's proposal, House Bill 2001, would allow duplexes, triplexes, four-plexes and cottage clusters on land where cities now allow only a single home. Jodi Hack, chief executive officer of the Oregon Home Builders Association, said the legislation "could positively impact the housing and rental markets." Portland already has neighborhoods such as Ladd's Addition in Southeast Portland, where duplexes were allowed in a neighborhood of single-family homes in the early 1900s. "They sit seamlessly in a neighborhood," said Mary Kyle McCurdy, a land-use expert and deputy director of 1000 Friends of Oregon. "You wouldn't know it if you didn't count the mailboxes." Oregon Housing and Community Services, the state's primary housing agency, is asking for $130 million in bonds in the next two years to underwrite up to 2,100 homes in the state. Ariel Nelson, agency spokeswoman, said House Bill 5005 includes that funding and would have the biggest impact on development of housing for low-income residents. The bond money would be given or loaned to developers to build housing for low-income families. More than 12,000 Oregonians need this type of housing, Nelson said. Hack said an obstacle to developing housing is the time and cost of applying for building permits. 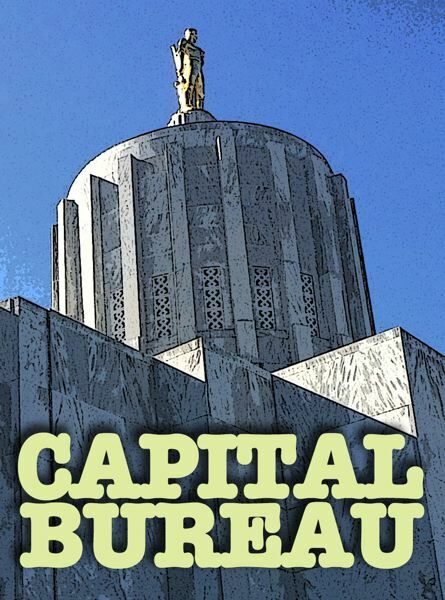 The homebuilders association and Reps. Pam Marsh, D-Ashland, and Duane Stark, R-Grants Pass, have proposed in House Bill 2306 speeding up the building permit process. Under their proposals, builders would no longer have to wait until the basic work of a development such as a subdivision is done before seeking permits to put up homes. That is "critical in moving the dial on housing supply across the state," she said.